Latin American fiction; 20th century; Translations into English. 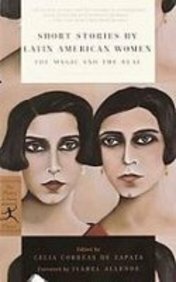 Latin American fiction; Women authors; Translations into English. About: Celia Correas de Zapata, an internationally recognized expert in the field of Latin American fiction written by women, has collected stories by thirty-one authors from fourteen countries, translated into English by such renowned scholars and writers as Gregory Rabassa and Margaret Sayers Peden.